Tonya Holmes, VP of Charleston, SC | Flowers Ministries, Inc.
Pastor Tonya M. Holmes is a native of Charleston, South Carolina. She was educated in the public school system of Charleston, SC and a graduate with honors in Office Automation from Mansfield Business College. Pastor Tonya was converted at the tender age of twelve and at the age of thirteen, she received the Holy Ghost during a youth revival. At the age of fifteen, she preached her first sermon. Pastor Tonya has faithfully served in many positions of ministry. Her ministry has afforded her the opportunities to travel throughout South Carolina, North Carolina, Georgia, Florida, and Maryland preaching the unadulterated Word of God. In July 2007, Pastor Emeritus Addie Holmes, founder of Latter House Ministries, transferred the baton of Pastoral to Elder Tonya Holmes. Pastor Holmes began seeking the face of the Lord for His children. The Lord heard her prayers, He saw her tears, and like Daniel, the answer was released. Pastor Holmes’ vision is to bring a change in people’s lives that have been ostracized, criticized, abandoned, abused, and rejected. Her vision is to eliminate homelessness in our communities by providing transitional housing, counseling, feeding the hungry, etc. The Lord divinely connected Pastor Holmes with Pastor J.L. Flowers, Flowers Ministries, Inc./Shepherd Mission House, of Charlotte, NC; who would coach her in birthing her vision. Pastor J.L. 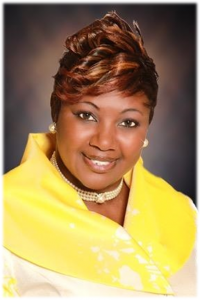 Flowers is the Overseer of New Life Christian Center, formally known as Latter House Ministries, Int’l. Pastor Holmes’ life speaks of God’s characteristics. She is a Worshipper and an Intercessor that the Father has found in the Earth that has sold out to the call of living Holy, pure and has an acceptable life that brings God Glory. It is evident that she is an anointed, chosen vessel pursuing passionately after God.